A good plate of pasta is always such a welcome dinner at our house. My son loves tomato sauce and only wants tomato sauce with his pasta. On the other hand, I have a liking for sauces. 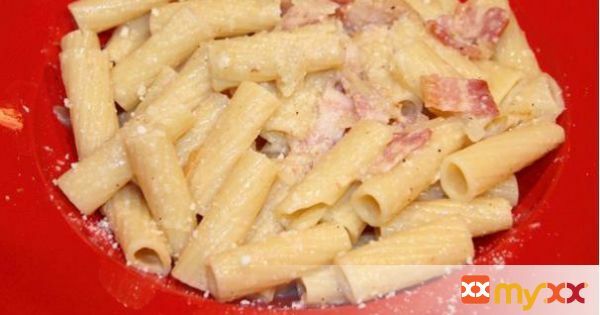 It is obvious who won the debate last night as we did enjoy a great plate of Tortiglioni alla Carbonara.